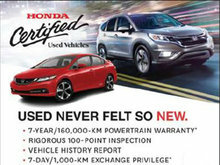 Our Honda special offers at Edmundston Honda. We all want to save money. 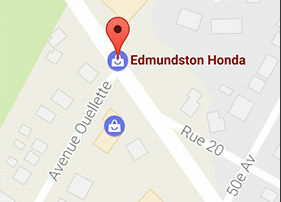 At Edmundston Honda, that has never been easier with our wide selection of special offers and seasonal discounts on all of our Honda products and services. 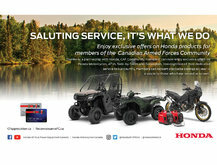 From the purchase of a new vehicle to our Honda after-sales services, you will always save money at Edmundston Honda! 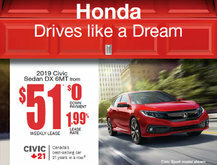 Our special offers begin at our sales department, where our new Honda vehicles offer incredible discounts every month as well as flexible, low-interest financing and leasing plans. 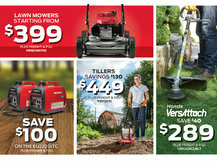 You can also take advantage of seasonal offers at our after-sales service departments that cover all products offered by Edmundston Honda, such as original Honda parts and accessories, summer and winter tires, maintenance and repairs, and of course our dedicated body shop. 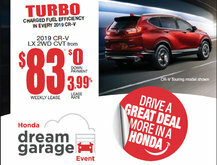 To learn more about our special offers, contact us today at Edmundston Honda at 1-844-463-3910, or online using our contact form or chat room.